I am sitting here on the Sunday night before this post is supposed to go up and I honestly can't think of anything to write about. This is the first time this has happened since I started this blog in January and I am feeling all out of ideas! However I couldn't leave you without a post so I am uploading some photos of these beautiful peonies for you to feast your eyes on. 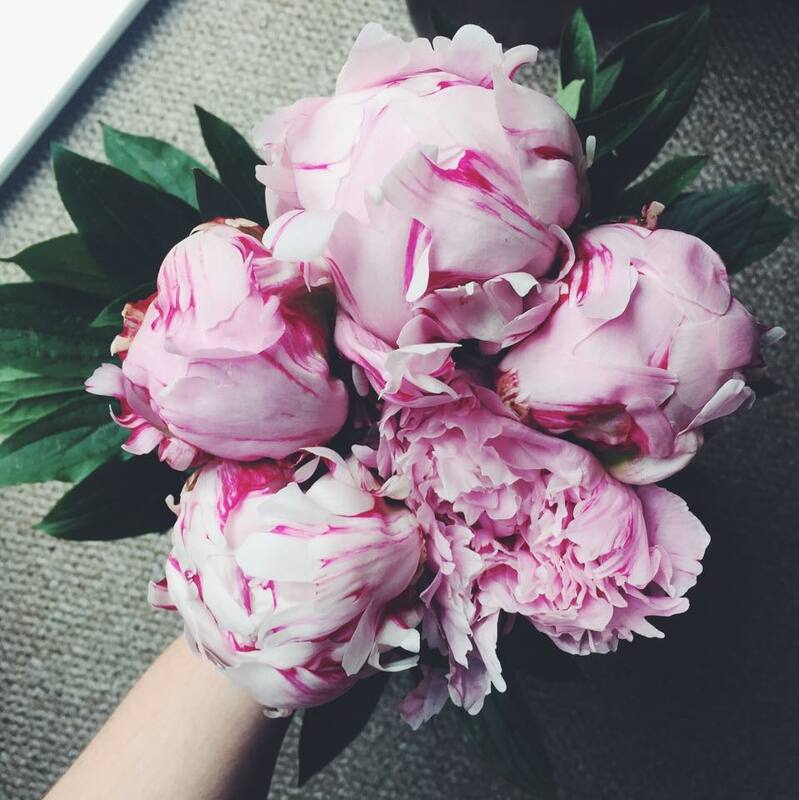 My boyfriend Ed bought me this bloomin' marvellous bouquet this weekend, he knows that peonies are my favourites and it has been four years since Ed last bought me flowers so this little act of kindness put the biggest smile on my face! What have you been up to this weekend?